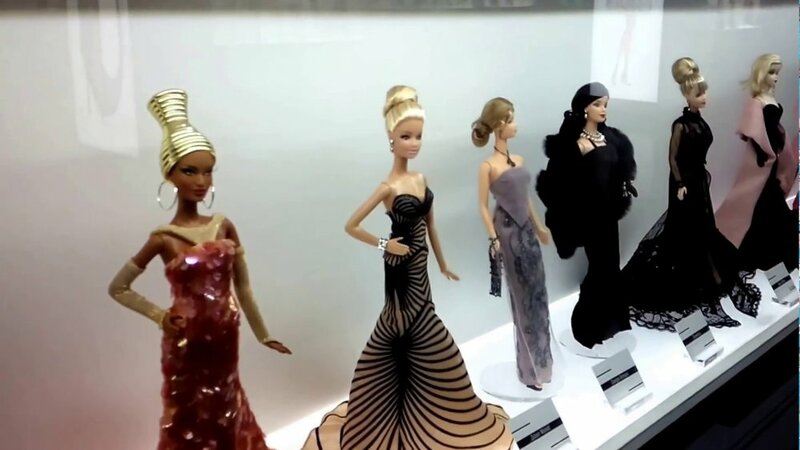 Here are some of the most rare and valuable Barbie dolls in the world. From her humble beginnings as a three dollar doll inspired by a German fashion toy called Bild Lilli, Barbie has become a worldwide icon of style and glamour. Billions of girls and boys around the world treasure Barbie in all her outfits, styles, careers, costumes, and accessories! But there are some collectibles that are rare and sought after by people with money to burn. So have you ever been curious about which Barbies are the most expensive? Well, we have a list of some of our favorites! Carrying a handcrafted porcelain pair of roses, Barbie doll is the height of royalty as Marie Antoinette who became the Queen of France when her husband was crowned King Louis XVI in the 18th century. She wears a regal blue gown and matching bodice that is embellished with touches of golden lace. Draped with golden fringe, the generous layers of her extravagant gown are decorated with golden tassels and hide her full-length pantaloons and the blue satin ribbons on her shoes. A matching hat topped with feathers completes her ensemble. She wears an extravagant rhinestone necklace that complements her dramatic ensemble. 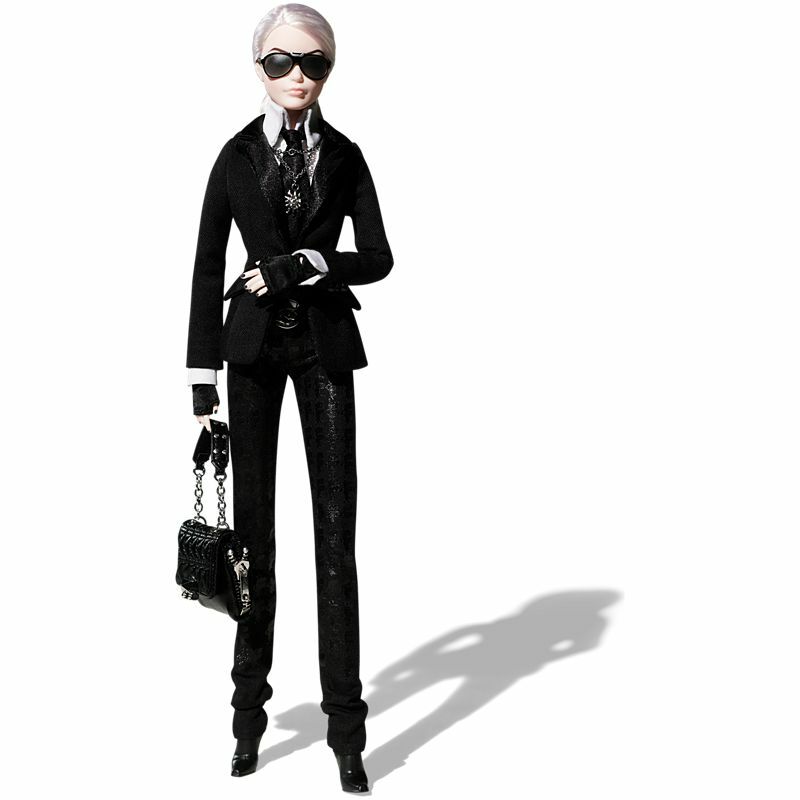 Taking inspiration from the designer's signature style, Barbie Lagerfeld is dressed in the designer's likeness with accents taken from the real KARL LAGERFELD line. Borrowing from Karl's iconic silhouette, the doll wears a tailored black jacket, white high-collared men's shirt with French cuffs and black satin cravat finished off with fitted black jeans featuring the iconic all-over head print. The exclusive doll is adorned in accessories that include black fingerless gloves, sunglasses, black ankle boots and a black leather purse with silver metallic accents. Barbie doll looks sensational as a Celtic princess in an olive green gown with detailing inspired by the artwork of the Celtic people. She wears a forest-green cape adorned with a golden brooch reminiscent of the legendary Tara Brooch of the ancient Celts. The final regal touch is a lovely golden crown that rests atop her long red wavy hair. Packaging features educational information about the region of Ireland and the history of the Celtic people. A brunette version of Capucin Barbie, Chataine Barbie doll radiates opulence balanced by sheer sophistication. She is dressed in a creamy cappuccino-colored evening ensemble consisting of a strapless taffeta bustier and mermaid skirt. A taupe organza evening jacket embroidered with golden sequins and lace trim highlights this dazzling mix. A luxurious chocolate brown faux fur stole adds richness. Golden and rhinestone drop earrings play beautifully against her brunette hair styled in an intricate evening chignon. Inspired by Japanese customs that started centuries ago, Maiko Barbie doll represents the “flower and willow world” that is geisha society. Her bright kimono has long, flowing sleeves and her wide, elaborate obi (or sash) ties in the front. With white makeup, a traditional hairstyle, white socks and Japanese sandals, she's the picture of femininity. 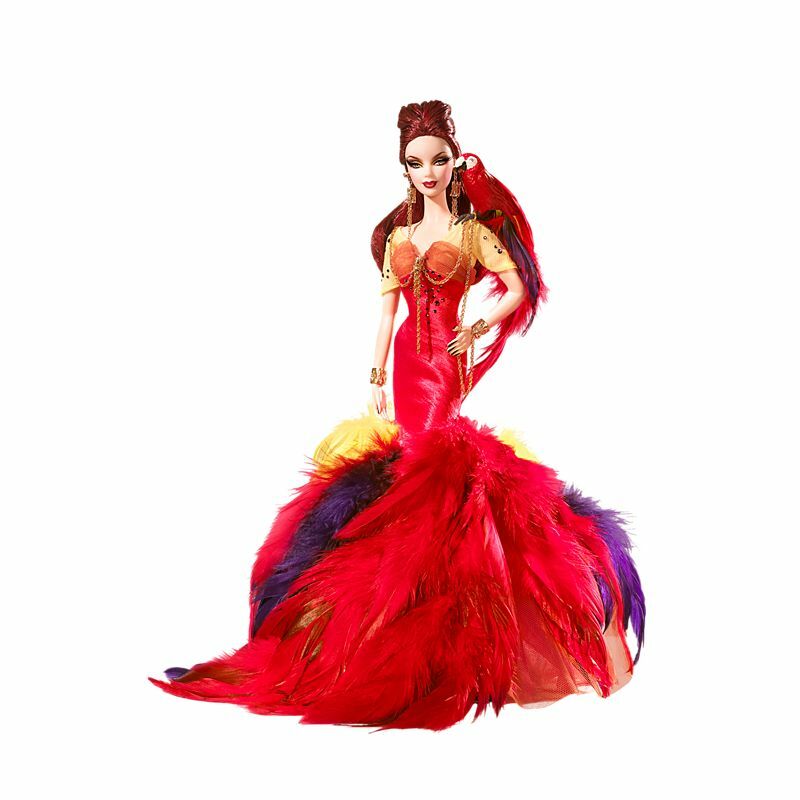 The Scarlet Macaw Barbie doll presents a perfect picture of the sophisticated woman, inspired by a most colorful parrot but completely committed to couture. Yellow, purple, and red feathers lavishly embellish the hem of the striking silk shantung gown. A scarlet macaw "bird" sits atop the doll's shoulder, tethered by a golden cord. Made of flesh-toned plastic, the first Barbie dolls wore a black and white knit swimsuit that was used through 1961. In 1959 the accessories were white sunglasses with blue lenses, black open-toe shoes, and hoop earrings. Characteristics of #1 and #2 dolls were very similar, with one exception — #1 had drilled holes in her feet to fit on her doll stand. #2 did not. Both dolls were available as a blonde and brunette. Facial characteristics included arched brows, black eye paint, colorless pupils, and bright red lips. All dolls had red nail polish on hands and toes. The Haunted Beauty Vampire Barbie doll wears a red charmeuse and black chiffon gown. Elaborate jeweled accents are featured at the neck highlighted by red and gold trim on the empire waist. Her gothic-inspired red shantung coat with a face-framing collar and full sleeves adds a dramatic touch. Her raven hair, pale skin, crimson lips and delicate white "fangs" will leave you utterly enchanted. 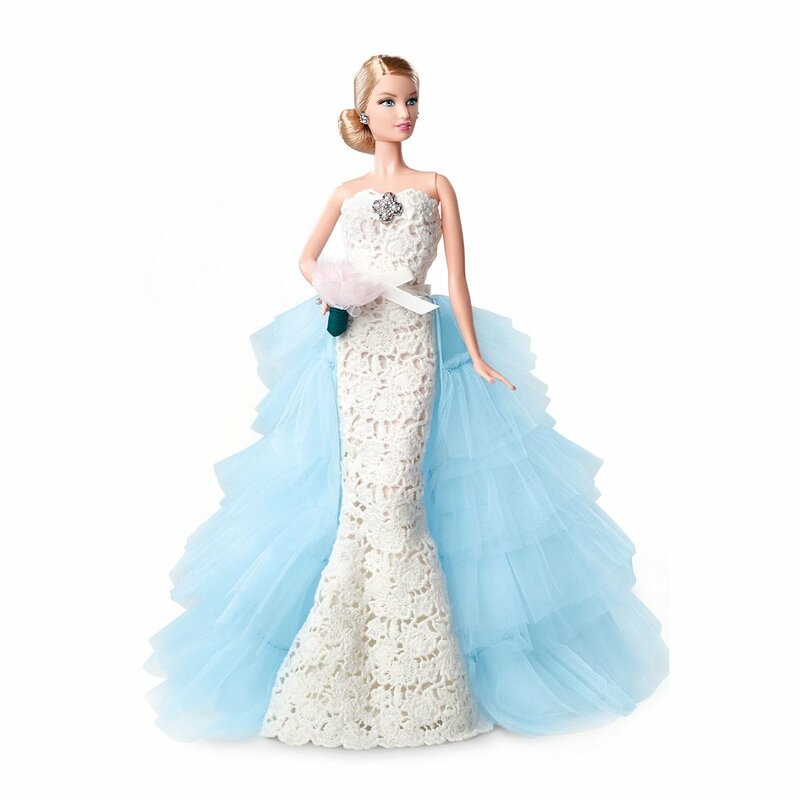 Inspired by the runway “Something Blue” bridal look, Barbie doll is a take-your-breath-away vision in this ivory, embroidered lace over chiffon trumpet gown. The simplicity of the gown’s fluid lines, and tiers of the wispy light blue train flowing behind her, personifies the designer’s passion for interpreting romance in a stylish modern way. To mark Barbie doll's 35th anniversary, designer Carol Spencer created Gold Jubilee Barbie, a limited edition doll. Dressed in a glittering gown of metallic brocade and colorful beads, Barbie exudes glamour. A fanciful floor-length overcoat lined in pink accompanies the gown. Barbie doll's beautiful long blond hair is pulled back, topped by a beaded headpiece. She wears a doll-sized charm bracelet with the Barbie logo on it. Did we miss any favorites? Let us know in the comments. And please share this with other Barbie fans.